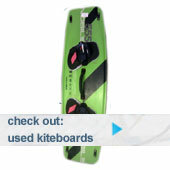 Airush comment – This represents quite a fundamental change on design philosophy on kites. Currently Kites rely on the canopy 100% to maintain the structural integrity. So canopy cloth operates under very high tension but are lightweight to ensure the kites fly properly. We set out to transfer some of the load off the canopy, and into the Aramid load frame when the kite is under high stress. We used Aramid and polyester tape as the Aramid is strong but still very damage tolerant and can deal with the impact. Another advantage of the frame is it limits further damage to the canopy in case of a tear or hole. So technically you could shoot holes in the canopy and the kite will still fly. So its not completely bulletproof, but we are working towards that. 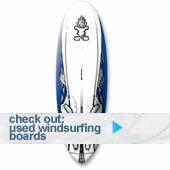 These characteristics made it ideal for application in both the Wave Kite and Razor Team. We look forward to trying them – especially the new 100% Wave design. They should be available fairly soon.